Don’t know where to start with insurance? Unless you’ve worked in the insurance claims industry and/or personal injury field, the majority of people have no idea how a claim is evaluated. Often, it is your first time ever having to speak to an insurance company outside of your agent that sold you your policy. Almost all insurance companies have various adjusters with different levels of “authority” (insurance industry’s term for “money”) to attempt to settle claims for people not represented by a lawyer. We have witnessed several people who are immediately offered a settlement for a fraction of what they could have gotten if they had retained competent council. One of the most critical things we tell our clients and advise everyone who has been injured in an accident is that there may be more insurance coverage available to you than what you know and/or what they are telling you. Moreover, even if one party is tendering a fair settlement, you may have additional insurance coverage of your own that may be available to you. coverages that are available to you if you do not follow the correct protocol with your own insurance carrier. Our firm has extensive experience with various personal injury claims and we assist our clients in finding additional insurance that helps get their medical bills paid, or additional insurance that will cover your injuries, wage loss and future treatment. It is actually cheaper to deny a claim than settle it. In the 1990’s, McKinsey and Company worked alongside Allstate Insurance to quit treating with people with “good hands” and instead to treat them with “boxing gloves.” During this time, Allstate forced more litigation (meaning denied claims and took cases to court) and thereby posted record profits, with the rest of the insurance industry following their lead. 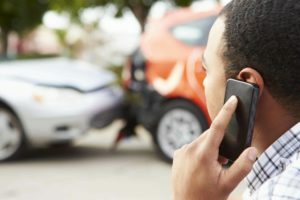 It is now very, very common for insurance companies to spend multiple times what a reasonable settlement would be to fight the claim, simply to prove to injured people and their lawyers that filing a claim for injuries is more trouble than it is worth. The reason insurance companies do this is there are far too many law firms that will simply not take those cases, or are willing to go toe-to-toe with the insurance firms, leaving people to either file the claims themselves or accept an inferior settlement. This may sound like a ruthless business practice, but their business model is based on maximizing profits, minimizing risk and they most assuredly do not have your best interests in mind. Simply put, insurance companies see denying or low-balling claims as a legitimate tactic with little downside for them; the less money they have to pay out, the more money they keep, i.e., profit. Sadly, improper denials have led to massive spikes in bankruptcies because of the individual’s inability to pay their medical bills and expenses. To demonstrate the extent of the insurance industry’s cut-throat approach, they continually lobby the legislature to pass evidentiary rules prohibiting lawyers representing injured people from telling the jury whether the defendant does or does not have insurance in third-party trials. Furthermore, third-party defendants have no choice in whether to settle the matter or not, they are simply at the mercy of their insurer. Even more important is that under no circumstances can the word “insurance” be mentioned at trial, even though the person who is being sued has insurance. No one, whether it is your witnesses, including doctors, police or anyone else who testifies on your behalf can mention whether there is an insurance policy in question. If you do, the judge will grant a mistrial. Although large coverage amounts are generally available, the insurance company has complete control on how much to offer the injured person. Although first-party claims (i.e., claims between an injured insured/plaintiff versus their own insurance company) have many bad faith laws that help protect insureds, third-party claims are adversarial in nature and the insurance company has no fiduciary duty to the injured party (meaning in a claim against the insurance company of the person that injured you, that insurance company is not on your side and has no legal obligation to represent your interests in good faith). Lastly, when at trial, attorneys are prohibited from asking members of the jury to put themselves in the position of the injured person when considering the value of a case. Although this is the rule of the court, this is yet another disadvantage to the injured party. Here are the simple facts; you’ve been in an accident, this accident has come at some cost to you, be it injury, property damage or loss of income and residual damages, you need someone on your side. Roberts Jones Law prides ourselves on a very hand’s on, personal relationship with our clients. We’ve navigated these waters and want nothing more than to see you safely to the other side. We hope reading this has hopefully un-muddied these waters a bit and offered you some peace of mind during this trying situation. We’re here to help if you need us. I’ve Been Injured, What Next?